Additional trail sections can be added on to many of the trails listed in the "More Difficult" trail section to make them more challenging. 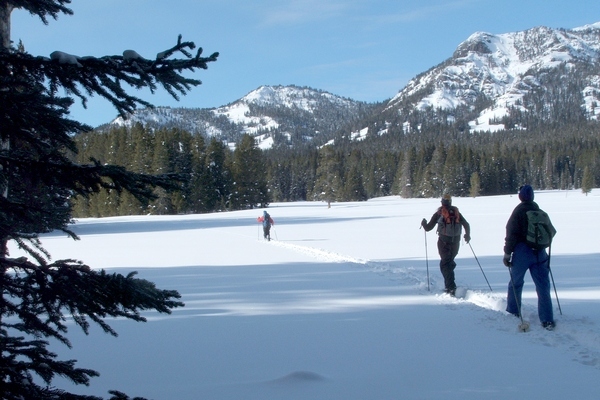 This additional trail length, and in many cases, technically more challenging trail sections will provide enjoyment for the advanced skier. A fairly level three mile trail leads us to the canyon rim above Seven Mile Hole. There we begin a 1,500 ft. descent to the Yellowstone River. There are also several hot springs near the bottom of the Canyon that are quite pretty. This round trip requires a full day and is physically quite challenging. The ridge top and summit bowls provide a challenge for the more adventurous skiers and telemarkers. Physical endurance and good technical skills are needed for this trip. There are several days worth of skiing in this area. Glen Africa Basin is located on the very back side of Hayden Valley. The round trip distance to get to the basin and back is close to 18 miles. Depending on snow conditions, this trail can be quite challenging. The basin is a water dominated hot spring system. 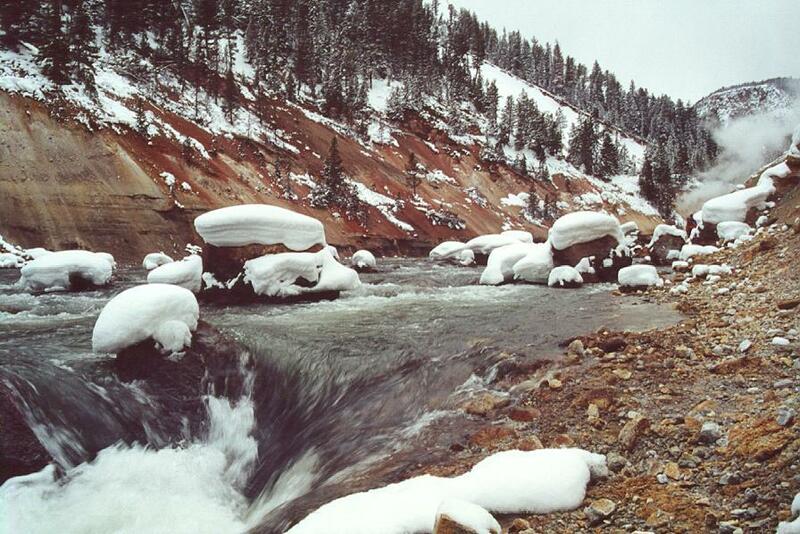 Heat from the basin melts all of the snow around the hot springs. We usually see a variety of animals along this trail.